You wake up one morning, look in the mirror, and discover that you have split ends. Total disaster! But don’t worry. Repairing split ends and other types of hair damage is fast, simple, and convenient when you have a Brazilian keratin hair straightening treatment by Maria Teixeira at your professional hair salon. 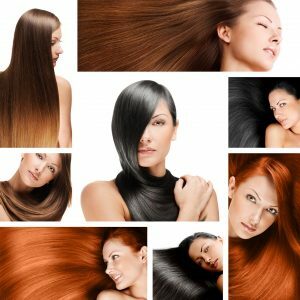 Brazilian Keratin Therapy — What Causes Hair Damage? Ther are many things that can damage your hair, including overuse of styling tools like hair dryers, curling irons, flat irons, and hot rollers. Another cause of split ends are the chemicals found in the developer for high-lift hair coloring, bleach, perms, and relaxers. Even the friction caused by brushing your hair, or putting it up into a ponytail with hair types or scrunchies can cause some women’s hair to become damaged. All of these things can affect the cuticle, which is the outer layer of the hair that surrounds the cortex, or interior, of the hair. Your hair’s cuticle made up of natural keratin, or protein cells, that fit together sort of like scales. These keratin protein cells are what create a waterproof and airtight barrier for your hair. So when something damages these scales, it can cause the cuticle to lift and separate, causing split ends. The hair’s interior cortex is then left unprotected and is susceptible to further damage from heat, chemicals, and friction. That means you have hair damage inside and out. Keratin treatments from Maria Teixeira add additional keratin proteins to the natural keratin already found on your hair cuticle, sealing and strengthening it while sealing and protecting the interior cortex. During your keratin therapy, a hot flat iron is used to bind the keratin to your hair, repairing hair damage while giving you straight, strong hair at the same time.